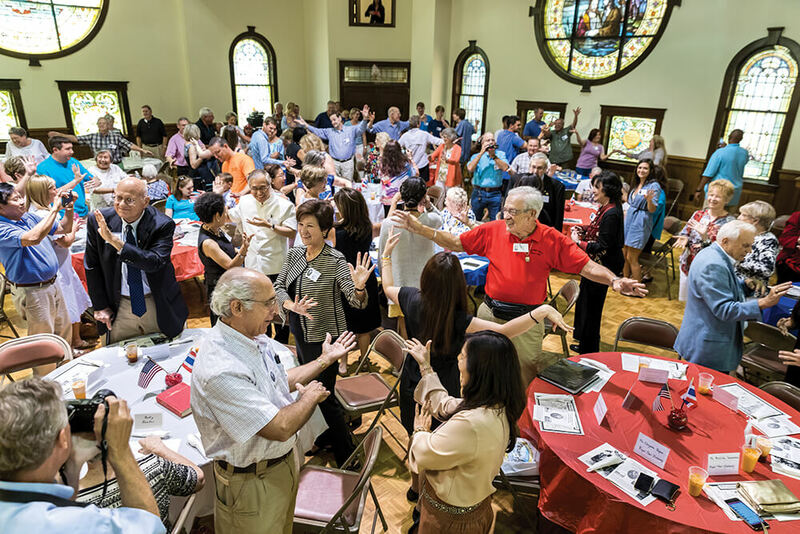 Descendants of the world’s most famous conjoined twins, Chang and Eng Bunker, return to Mount Airy every year to reconnect with relatives from around the globe. From the living room of Kester Sink’s house, the outside world is all corn and sunshine. A summer-green yard stretches out above the acres upon acres of fields, and a black Lab named Bunker rambles past the parked tractors and old farm equipment to find suitable shade in the barn. 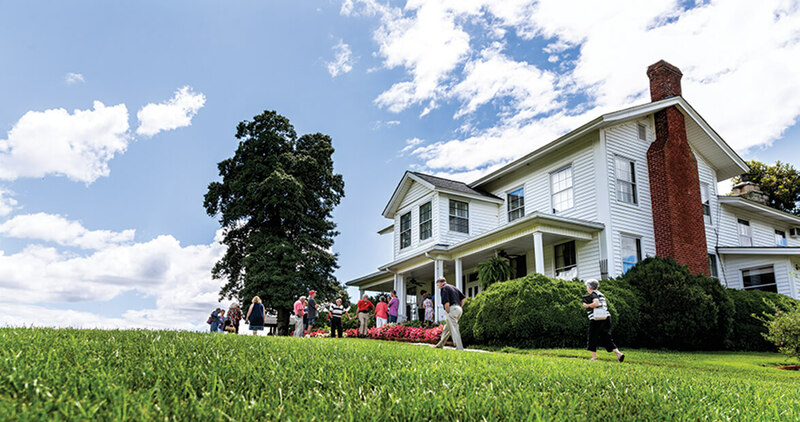 A few moments ago, a crowd of about 30 gathered on Kester’s front porch — most of them family, albeit once- or twice-removed — and considered their roots. Like the 200 or so people gathered across the highway at the Mayberry Campground — and some 1,500 others scattered throughout the country — these folks come from here, this rolling farmland in Mount Airy. But for now, everyone has cleared off the porch, and Kester sits with his daughters and granddaughter in the house he has occupied for 70 years, ever since he returned from World War II and married Adelaide Bunker. This house and about everything as far as the eye can see was bought with circus money in the 19th century. There’s no way of knowing this from looking, of course. The whole of the property appears as if from a portrait of idyllic rural America: a big red barn, a wide porch fronting the white farmhouse, oceans of corn swaying in the breeze in the background. But the truth is that everything springing forth from here — the people at the campground and the centuries of corn and seed and hogs — owes its existence to two men forever attached: Chang and Eng Bunker, the original Siamese twins. At first glance, none of this makes sense: these 200 acres of rural North Carolina belonged to conjoined twins who were of Chinese descent but were born in the Kingdom of Siam (now Thailand) in 1811. Chang and Eng arrived in this land after a life that was less a winding road than a jagged highway of hairpin turns. Their childhood was tragic and impoverished: Their father died when they were young; most of their siblings died not long after; and the conjoined twins spent much of their time selling duck eggs to help their mother make ends meet. Then, at age 17, they were taken away by an American sea captain and a British merchant who saw opportunity in their attached form. Money was given to their mother, and they set sail. The captain, Abel Coffin, took them to England and the United States, where they performed and doctors poked and prodded them; passersby challenged them to games of chess. The most extraordinary thing about them, it seemed, was that they were so ordinary. Two whole men connected below the chest. When they turned 21, they took control of their fortunes, saying goodbye to Captain Coffin. By the time they were 28, they were rich, famous, and world-traveled. And so it was in 1839 that Chang and Eng, two separate men bound together by a band of skin and cartilage, decided to settle down. 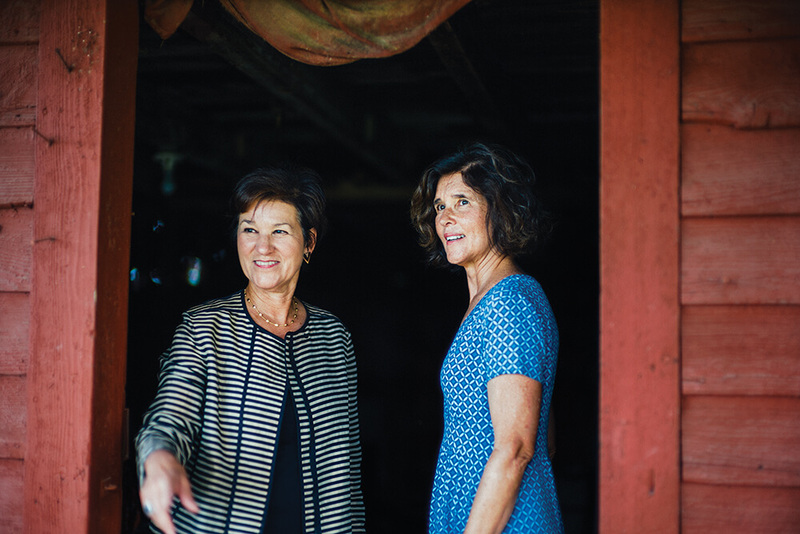 They could have gone anywhere — returned home to Siam, sailed off to any European city — but they chose western North Carolina, beginning in Wilkes County and eventually settling in Mount Airy. They put down roots in this spot, what is now the property of Kester Sink, and assimilated into antebellum Southern life. They disappeared from the public eye. Understanding that Chang and Eng lost their family before they were adults, and understanding that for more than a decade they were carted from town to town labeled as freaks and monsters, perhaps it makes the most sense of all that they decided to escape into a quiet life of farming in the shade of the Blue Ridge Mountains. With the wealth they’d amassed from touring, they bought acres of fertile farmland and slaves to work the farm. They built a house with extra-wide doorways and furniture, and they gained in Mount Airy what they had lost as children along the Mekong River: a family. The brothers married a pair of Quaker sisters, Sarah and Adelaide Yates from nearby Wilkes County, and, over the next two decades, Chang fathered 10 children, and Eng 11. She believes that the shape of her eyes gave away the Chinese heritage of her great-grandfather Chang. Alex, a former gubernatorial candidate and CFO for the State of Florida, has come to Mount Airy this weekend to spend time with others who may carry hints of those same Chinese features in their faces, certainly in their DNA. But for Alex, coming back to the land of her forefather is also coming home to the house she grew up in. Dottie and Alex roamed this entire farm as girls, but they admit that no one talked much, then, about the Siamese twins who first settled here. 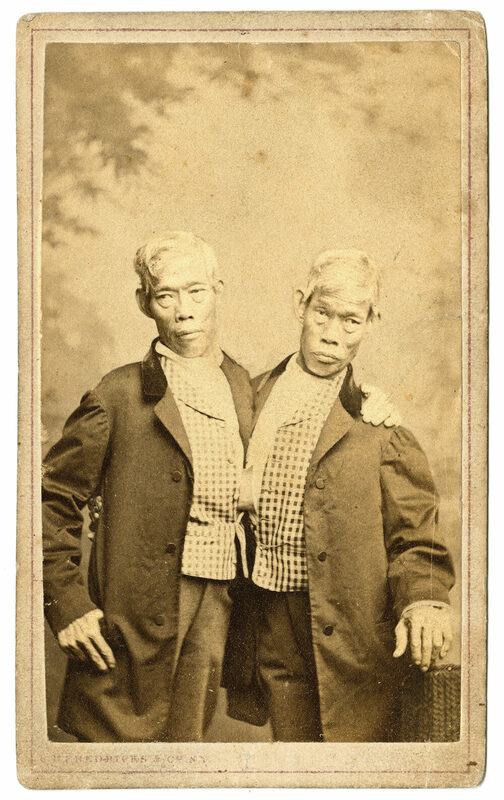 Nearly a century after Chang and Eng’s deaths, taboos lingered — not only the strangeness of conjoined twins living normal, married lives, but also the fact that these marriages were interracial in the antebellum South. For Dottie and Alex as children, their ancestry was mostly discussed in whispers. Today, however, the pride in coming from these talented, complex, family men spreads out wide. Descendants have traveled here from across the country, and Thailand’s ambassador to the United States, Pisan Manawapat, is here to celebrate the legacy of Chang and Eng. In downtown Mount Airy, the “Siamese Twins Exhibit” fills a room in the Andy Griffith Playhouse. Across Southeast Asia, a musical about the twins has toured in recent years. “These guys were brilliant,” Kester says as I run my hand along the wood paneling back inside his house. Kester, forever astonished by the sturdiness and ingenuity of this place, isn’t a descendant, but he married one: Adelaide, Alex and Dottie’s mother, who died in 1968. Still, his appreciation for Chang and Eng’s lives shows in his care for this land and house. He has farmed these acres for seven decades, developing his own hybrid seed corn and nurturing a long-lived affinity for pigs — “I got addicted to raising hogs,” he says — and he has spent that same amount of time restoring this 150-year-old house: rebuilding anything rotten and uncovering anything hidden so that the original wood and glass would show. Now, Kester sits here while his daughters and grandchildren come back home, while hundreds of other people, all shaped by two misshapen men who found respite here, find their way back to this land, too. Today there are no hushed voices. Only an ever-growing family; wide, abundant land; and an old house still standing tall.